Eustace Conway is a unique naturalist. He celebrates the freedom of individuality in all aspects of life. He is a spokesperson for the Earth, giving voice to the natural environment he loves. The renowned wildlife artist, Sallie Middleton, told him on his thirtieth birthday, “You are the most interesting man I have ever met.” Perhaps this is because Eustace has lived the life he has imagined…followed his dreams. Like Thoreau, Eustace has gone to the woods to live deliberately, fronting only the essential facts of life, to see if he could not learn what it had to teach, and not when he came to die discover that he had not lived. He has lived in the woods for over 35 years. He learns by visiting extremes; once when Eustace severely cut his thumb, he sewed it back together with twelve stitches, and used plant medicine. Eustace is a veteran of an active life following the motto of “just do it!” Eustace camped alone for a week in the mountains at age twelve, living off the land and loving it! 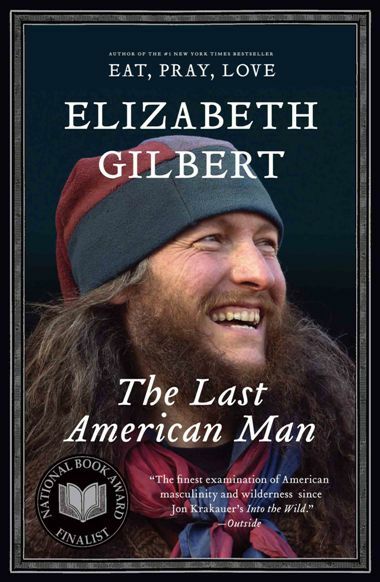 At age seventeen, he moved outside to live in an Indian tipi, which was his only home for 17 winters. For years he wore only homemade buckskin clothes and made and gathered his implements. At age eighteen he canoed 1,000 miles on the Mississippi River. Then he walked across America on the Appalachian Trail, completing the 2,000 mile journey. He kayaked the entire southern coast of Alaska amongst icebergs and whales. He has backpacked over 5,000 miles of breathtaking wilderness trails in North America, Central America, Australia, New Zealand, and Europe…from sandy deserts to lush jungles. He has lived with many different Indian tribes celebrating their cultures with them. He has served as federal interpreter at Chaco Canyon National Park in New Mexico and as state naturalist at Crowders Mountain Park in North Carolina. Eustace is a showman, an educator, an articulate communicator with keen attention to his audience. Eustace has “lifetimes” of personal stories that he draws from to teach and entertain his audiences, such as the time the blacksnake crawled onto him, remaining for twenty minutes on his back before it crawled off peacefully going its’ own way. Born into a legacy of teaching, Eustace’s parents and grandparents were educators. Chief Johnson, his grandfather, founded Camp Sequoyah in 1924 and became one of the “fathers of American camping, a great American”. The Turtle Island program rests on the three generation foundation of the Sequoyah program, profound in its’ high impact and lasting results. It was at Sequoyah that Eustace’s mother grew up in a log house heated with a big stone fireplace. She learned much about nature, being reared surrounded by it. She earned her masters in Education before going on to teach. Dr. Eustace Conway, III, a chemical engineering professor is an outdoorsman. His passion for hiking gained him a reputation; he once hiked fifty miles of mountain trails in one day! When young Eustace was born, his father would take him along. Eustace remembers an almost too thrilling whitewater canoe trip at age four. Because his father stressed the educational qualities of all life experiences, Eustace naturally picked up the tendency to want to learn and teach. Eustace will consider speaking to groups who would like to hear his message. SQSwans copies of Eustice Conway Reports.